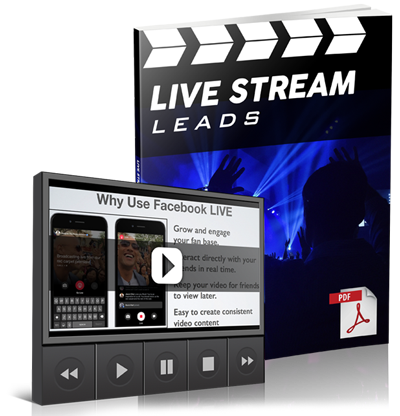 Home » Internet Marketing » Social Media Marketing » 3 Tips to Overcome the Fear of FaceBook LIVE Videos! 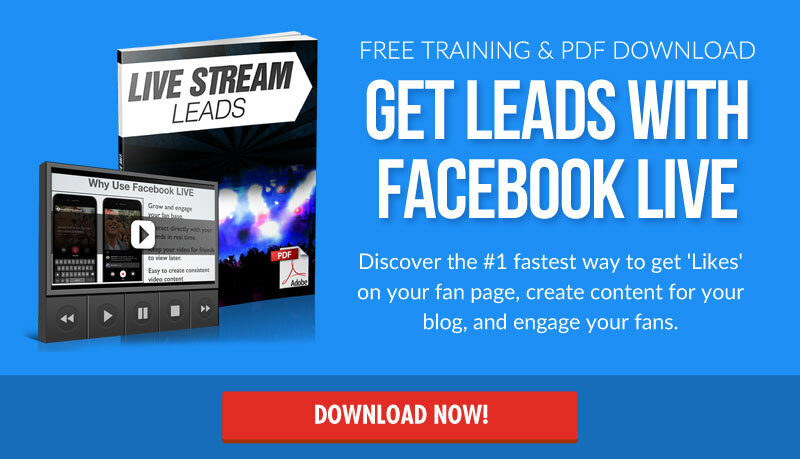 3 Tips to Overcome the Fear of FaceBook LIVE Videos! Facebook Live video is all the rage right now, and for good reason! As a digital marketer, it's your job to stay one step ahead and to be on the forefront of emerging technologies. Every new type of content or piece of hardware creates new opportunities to find an audience and engage with them in a way that's fresh, exciting and impactful. And right now, the latest and most exciting platform of this nature is live video. Live video lets you engage with your audience like never before and communicate with them directly – even responding to comments. This is the closest you can come to visiting your audience in person and the impact this can have is gigantic. Now Facebook is getting involved with Facebook Live – and most likely it's this platform that is going to ensure the format really takes off. Are you avoiding this incredibly powerful medium because of a fear of videos? Or, oh man, LIVE VIDEOS? We've all got fears that hold us back in one way or another. However, if you're the person that has a vision right now of becoming a leader in the home biz industry, then those fears will keep YOU away from ever achieving your biz goals. Period. You don't achieve the success, without becoming the person who achieves that success. Do you run for cover as soon as you hear the words Facebook LIVE or Video Marketing? If so, then you need to hear the message that MLSP CEO Brian Fanale has for you in the video below. It happens to come straight from one of his own FB LIVES he does every weekday for the Private MLSP Community! YOU Will Walk Away From This Video With 3 New Weapons to Finally Obliterate YOUR Fear of Facebook LIVE and MORE! 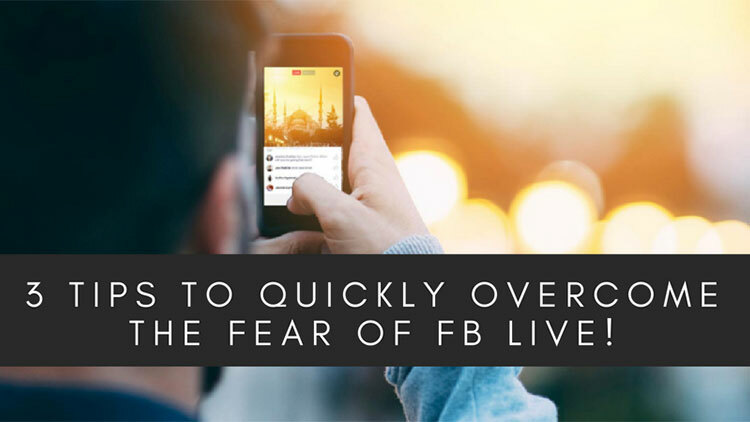 So Let's Quickly Recap How to Get Over Your Fear So You Can Do Your First Facebook LIVE Now! #1 Take the Focus Off of YOU! You're doing the video so you can help OTHERS! So just become the messenger. It's not about YOU, it's about the value that you're giving your audience. Get that right and you've got nothing else to worry about! Nobody will care that you glance to your notes for a quick reference from time to time. They're just there to get valuable content. They really don't care much about your method of delivering it. Just click LIVE and start serving your audience with the message they need to hear! These are just outdated stories. Old news that doesn't serve you anymore. How often do you read last week's newspaper? Much less last year, or many years ago? So then why do you keep reading your old outdated stories as if they're relevant today? It's keeping you from being the person… that does the stuff that needs to be done… to become the leader that people will follow. What are the benefits of Facebook LIVE for business? It’s actually pretty simple. When you build a business you want to go where your audience is, you want to target them, you want to provide valuable content to them that makes their lives better, and you want to engage with them. Facebook lives, live video and CONNECTING with your audience is a critical part of creating your own content marketing strategy. When you push fear aside, and do it (FB LIVE, Videos, Blog Posts, etc.) your vision expands. And you start to realize that you're growing into the person in your vision more and more each day. Eventually you'll wake up one day, and notice that you HAVE become that person! Great tips and advice! Thanks for sharing.